Description First and only printing in 1950 at 3/4d. 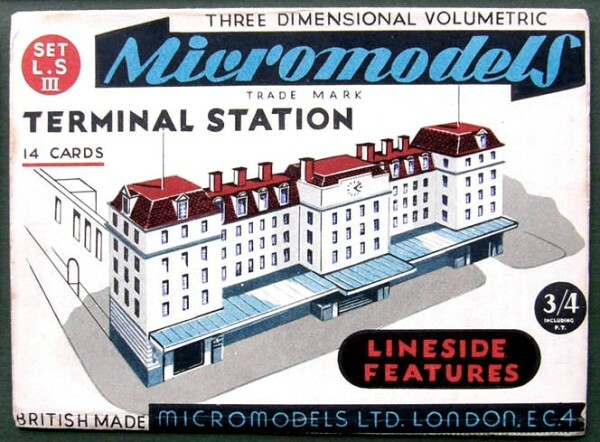 The Terminal Station was catalogued as out of print in 1953. 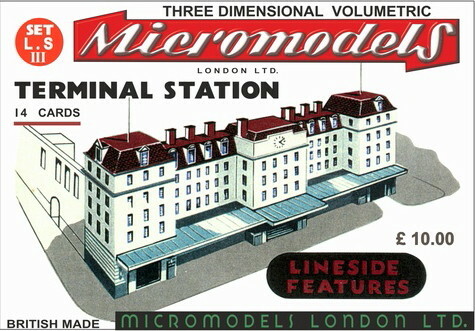 This is the second largest Micromodel, but only Hampton Court Palace is larger. 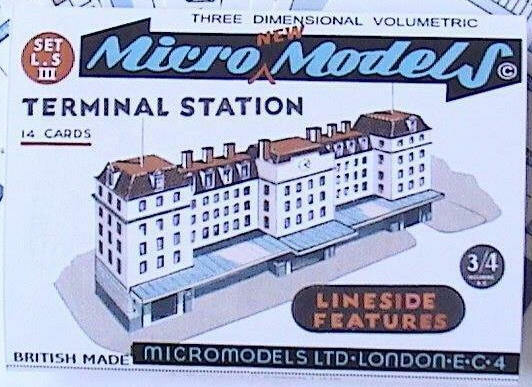 Alas this model is only a facade of a station. 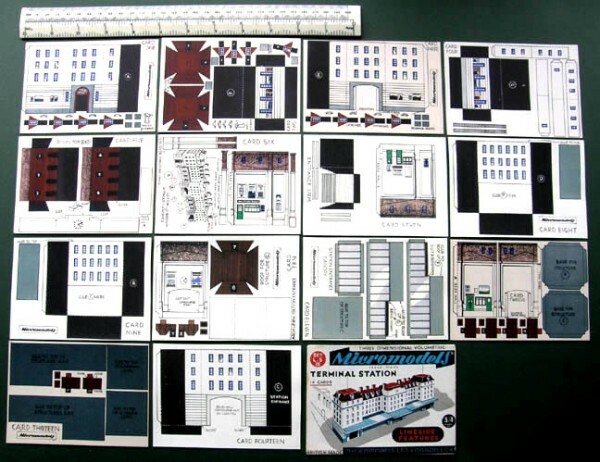 Set LS IV was intended to complete the station. Autocraft has reïssued this model.